How do I use the embedded contact forms? You've set up your Studio Ninja account now and you're ready to start taking in new leads. You have your contact form, but how do you use it on your website? This is where the embedded contact forms come in. 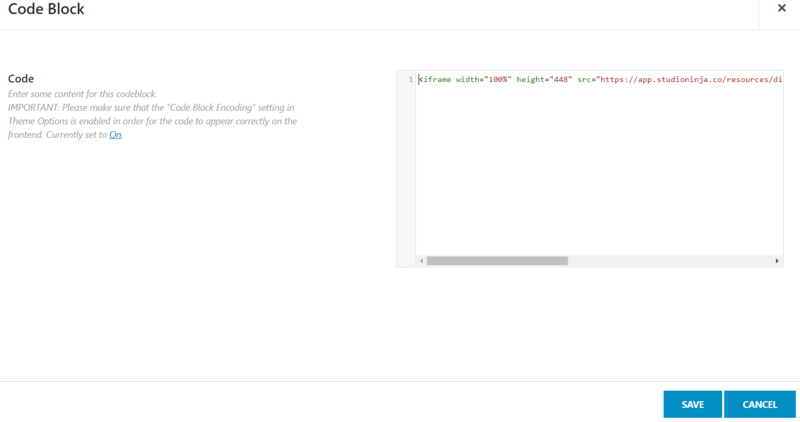 There are different ways you can integrate the Studio Ninja embed code depending on your website platform. Click on Save and then Update/Publish the page, and your contact form is now viewable on your website!